There are many types of dental restorations, but the best dentists in New York will often recommend dental implants. Implants restore a tooth’s function with three different components that create a sturdy tooth replacement. Continue reading to learn more about the parts of a dental implant. The most common type of dental implants found in a dentist’s office are known as an endosseous root-form implant. This term means that the implant is placed directly into the jawbone in place of the missing tooth’s roots. The dental implant will look like a small screw. Over time, it will fuse directly with the bone in a process known as osteointegration. The implant will become part of the jawbone, creating a sturdy dental restoration that could last a lifetime. A dental implant’s fixture is the screw that ends up under the gum line and in the jawbone. The implant is made of 99.5% titanium or a titanium alloy. Either choice aids in the implants’ ability to fuse with the bone and become a strong part of a patient’s oral structure. The abutment is the component that will attach the fixture to the dental crown or denture. Once the dentist is assured the fixture has fused with the jawbone—a process that can take two to six months—he will screw on the abutment. Once the abutment is placed, the patient can begin wearing implant-supported dental restorations. Depending on the patient’s need, there are three implant-supported restorations to choose. Dentures, dental crowns, and bridges can be used in conjunction with dental implants. During the consultation at the dentist’s office, the dentist will determine the best course of action to restore the patient’s smile. 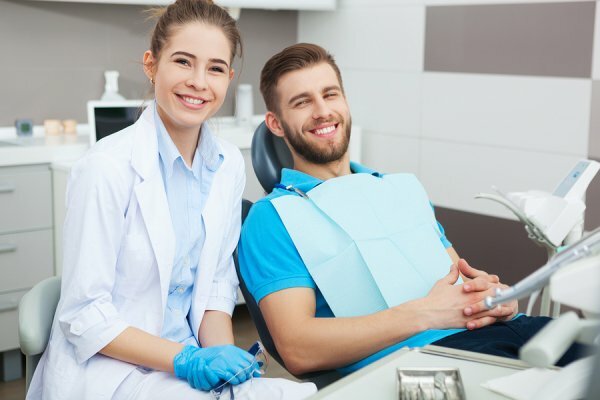 By calling Park 56 Dental at (646) 783-3529, patients can take advantage of the restorations offered by the top dentists in NYC. Dental implants near NYC can restore the look and function of patients’ smiles for the rest of their lives. Work with us to return your smile to its true form. We are available to answer all of your questions. As the top dentists in NYC can agree, many parents do not realize how important children’s baby teeth are. By having this essential knowledge, parents can prepare their children for a healthy relationship with their dentist and their oral health. Many parents are not concerned with their children’s dental hygiene until the permanent teeth erupt, which is usually around ages five to seven. Due to this lack of concern, many children do not have a healthy dental care routine, and they can experience severe tooth decay at a young age. Baby teeth are very important to children’s ability to eat, speak, and the healthy formation of their adult teeth. By learning how to care for their baby teeth, children learn proper dental care, such as regular flossing, brushing, and visiting the dentist’s office. This education is important to the future health of a child’s mouth and body. Baby teeth look and function in the same manner as adult teeth. They are susceptible to tooth decay, and they can cause pain or toothaches when a tooth has been affected. Parents must strive to teach their children health dental care habits and monitor the number of sweet drinks and treats. When children regularly consume candies, sodas, and other sweet items, they are exposing their teeth to acids that can cause tooth decay. 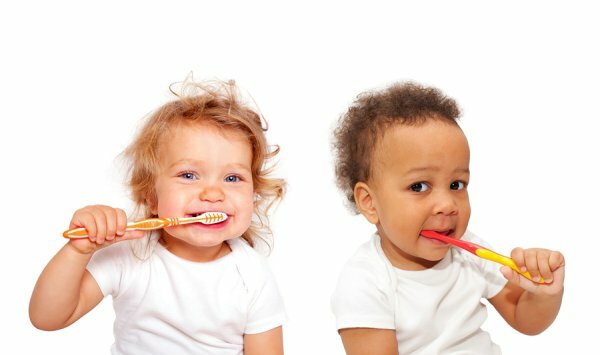 The best dentists in NYC all agree that babies should be examined around their first birthday or when their first tooth erupts. By visiting the dentist’s office from an early age, children will learn about proper dental hygiene, and they will feel more comfortable visiting the dentist. Through early detection, dentists can look for potential bite issues and orthodontic issues. This is important to the continued health of children as they grow up. Visit Park 56 Dental online or call us at (646) 783-3529 to learn about the many services offered at our dental clinic near NYC. In addition to children’s dentistry , we offer Invisalign therapy for teenagers and adults. Call us soon to make an appointment. Are You a Good Candidate for Professional Teeth Whitening? Teeth whitening is offered by the best dentists in NYC as a safe and effective way to brighten your smile. If your teeth appear discolored or have a yellowish tinge to them, then ask your dentist’s office about professional teeth whitening. Let’s see if you are a good candidate for this helpful service. You are in good overall and oral health. When you are healthy, but your teeth are discolored, then professional teeth whitening is a great service. In addition to regular exams and teeth cleanings, teeth whitening can restore your smile for a younger appearance. You have an important event—such as a wedding or reunion—coming up. If you wish to look better and younger than ever, teeth whitening is the easiest and safest procedure. You do not smoke, or you are quitting smoking. When you smoke cigarettes or chew tobacco, your teeth will be heavily discolored. With professional whitening however, you can reduce the discoloration and help encourage your quitting efforts. There are different types of smile restorations in NYC , such as veneers, but the best dentists in New York also offer teeth whitening. Call Park 56 Dental at (646) 783-3529 to schedule your teeth whitening appointment right away. When teens have crooked teeth, they are at risk for multiple dental problems throughout their lifetimes. The best dentists in New York agree that orthodontic issues—such as crooked or gapped teeth—should be addressed as soon as possible. Watch the video to see what can happen when teens do not correct their orthodontic issues with Invisalign. Crooked and gapped teeth can cause bacteria to gather in the gums and on teeth in irregular ways. These bacteria can cause tooth decay, gum disease, and eventual tooth loss. By correcting misaligned teeth with Invisalign, teens can avoid these unhealthy dangers and benefit with a beautiful and straightened smile. Trust Park 56 Dental with all areas of restorative and general dentistry near NYC. We, like all the best dentists in NYC, carry Invisalign to safely and quickly correct our patients’ orthodontic problems. We are available at (646) 783-3529.